There are so many layers to a room, to a house, to a hotel. Each layer reveals something new about the space. The paint, the drapes, the furniture, the fixtures, and... the art. No layer tells the story more than the art. It’s as if a room is naked without it. For me, this is where it all comes together. I love every medium of art, but my favorite pieces to use are sculptures. There is something so magnetic and moving about a dimensional work of art. I want all my spaces to be movable and livable and incorporating four dimensional artwork is my nod to that mentality and desire. In my early 20's, during a trip to Paris, I came face to face with a Constantin Brancusi sculpture for the first time at his Atelier at the Centre Pompidou. I knew of him and his work, as he is often regarded as the most important sculptor of the 20th century. But, being eye level with his work, close enough to touch it was one of those holy design moments for me. Flipping through his catalogue in a book or online you might feel his pieces are simple, but no. Standing face to face, you see the intricacies of the direct carvingand the true essence of his subjects coming through. I love this piece because of the calmness it exudes. I instantly feel that wash of bliss when you are able to watch someone you love, sleeping peacefully - whether it be your partner or your child. The naivety and childlike quality everyone shares when sleeping. This piece was modeled on the Baroness Renee-Irana Frachon and has an air of royalty to it. Her features; small, dainty and feminine. Remember what I said about evoking movement within a space? Brancusi’s Bird in Space works are the epitome of that. Can’t you just see the bird shooting off into the sky? Its’ beak striving towards its’ destination and its’ tail following suit. There is no bird in these pieces just the swift movement of one mid-flight. 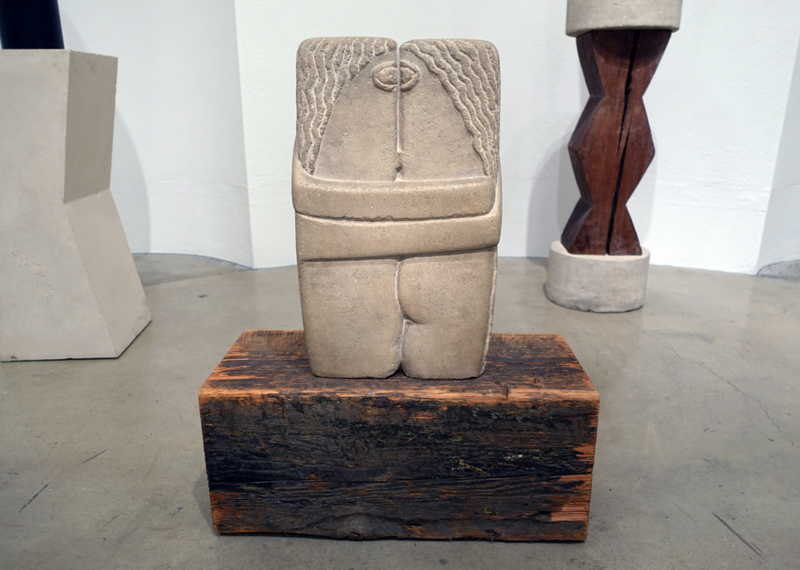 Although this is one of Brancusi’s most squared off piece, I feel it is also one of his most romantic. The lovers are pressed so close together. Their eyes are so in tune that they have become one. Their arms are holding so tightly that their arms are straight and wrapped around each other’s backs. To me, this is more than a kiss. This is obsession and lust, love and yearning, safety and wholeness. Though many of his pieces stand alone in various museums all over the world, they are stronger together. He placed importance on the surrounding space and relationship between the pieces. In his studio, he created works within works when grouping items together - “mobile groups”. The connections between the works were as important as the works themselves, he said. His emphasis on vignettes is something I carry with me in my design work today, especially when placing art. Sometimes the whole is greater than the parts.